KNAPHEIDE 6FT CONTRACTORS CAP. ALL STEEL CONSTRUCTION WITH TWO EXTERIOR ACCESSIBLE COMPARTMENTS WITH AN ADJUSTABLE TRAY FOR EACH. 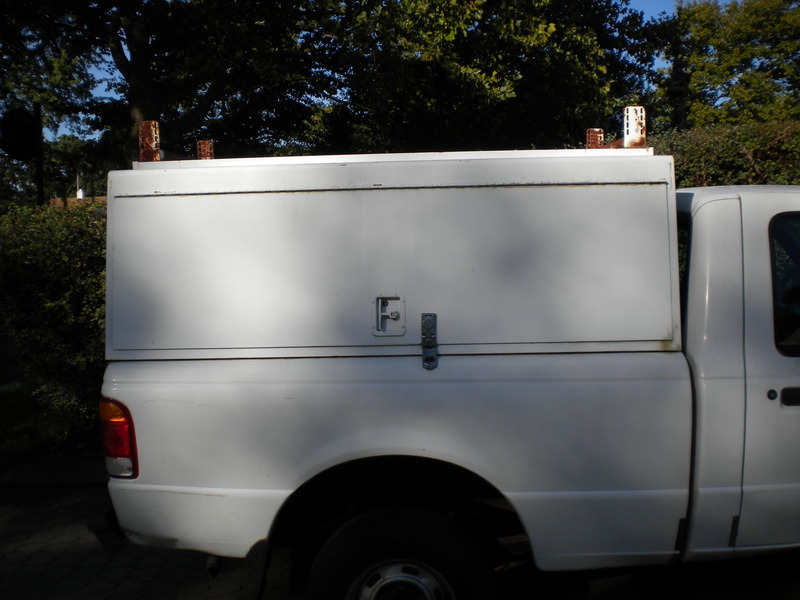 THE CAP HAS HEAVY DUTY LADDER RACKS ON THE TOP AND A REAR DOOR WITH GLASS FOR VISIBILITY. THE CAP IN LOCATED IN METRO NYC AREA AND IF DESIRED BE DELIVERED ENROUTE TO CHARLOTTE NORTH CAROLINA IN EARLY NOVEMBER.